Today, fashion girls everywhere are rejoicing (and clicking at the speed of light) because Shopbop's Event of the Season Sale is finally here! What does that mean, exactly? Well, spend up to £400 and you save 25%, and spend over £400 and you'll receive a lovely 30% discount. The only catch is that the sale is only going on for three days from October 12–14. So in case you're not like us and didn't have all your favourite items bookmarked in a folder on your desktop already—hey, it never hurts to be prepared—we've rounded up the 20 pieces we think are the best of the best to save you some time. Simply remember to enter promo code MAINEVENT16 when you checkout to apply the discount! 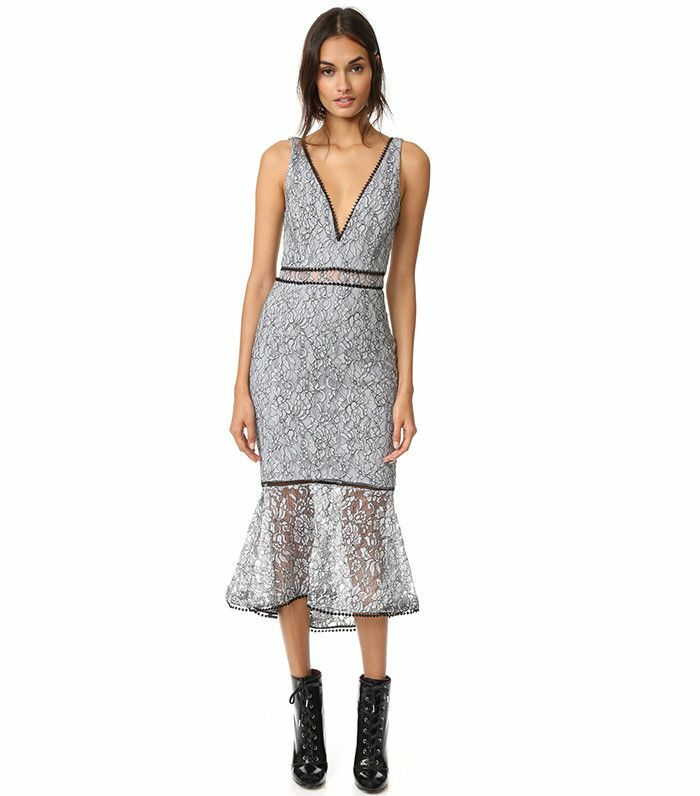 Scroll down to shop over-the-knee boots, party-ready dresses, and so much more. Love lace? This versatile dress will let you wear it more often than you think. Let these shoes do the talking when paired with a cute little black dress. Bomber jackets for winter? This will have you covered. Welcome sweater weather the right way! Elevating your daytime shoe game one embroidered flower at a time. Everyone deserves a chic pair of pajamas. A simple but impactful addition to any outfit. A grey bag is the perfect colour for pairing with everything else in your wardrobe. Introducing the latest bomber spinoff. Wear this boho dress with over-the-knee boots for a classic look. Transition this piece into party time with high-waisted jeans and pumps. Hoops are the new studs, in that you should wear them every day. Wear this over a T-shirt for a street style–inspired look. Give your off-duty outfits a fashionable twist with these velvet mules. Wear an experimental blouse when you're feeling stuck in a rut. Simply put, you need this for Christmas party season. Want more shopping? Check out the best new arrivals of the week.